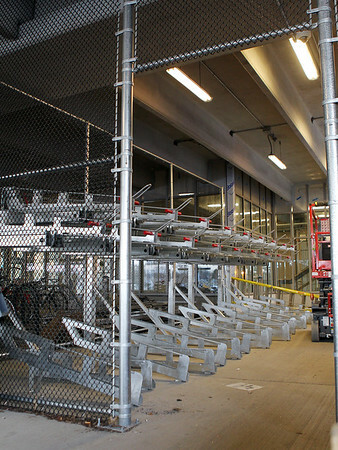 A new bike rack storage area inside the new Salem MBTA parking garage is being installed and will hold over 100 bicycles. DAVID LE/Staff photo. 1/21/15.